Our guest is writer-director-producer, Sri Rao. His new book is Bollywood Kitchen: Home-Cooked Indian Meals Paired with Unforgettable Bollywood Films (Houghton Mifflin Harcourt, November 7, 2017). The book has been called culinary school meets film school, and dinner and a movie. Sri Rao is a writer-director-producer and lifestyle expert in New York City. 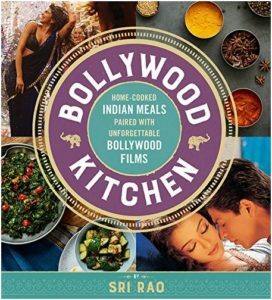 Bollywood Kitchen: Home-Cooked Indian Meals Paired with Unforgettable Bollywood Films was released November 7, 2017 by Houghton Mifflin Harcourt. Bollywood Kitchen is his first book. Sri is uniquely positioned at the intersection of Hollywood & Bollywood, as one of the few Americans to have worked in the mainstream Indian film industry. He is the first American Indian born writer to have written a major Bollywood Film. Sri’s projects span both drama and comedy. He wrote the film Baar Baar Dekho (Look Again & Again), featuring 2016’s #1 dance song, “Kala Chashma” (with over 300 million views on YouTube). He also produced the films New York and Badmaash Company for India’s leading movie studio, Yash Raj Films. Sri is also a screenwriter for television. 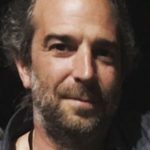 He was lead writer on the ABC series, General Hospital – Night Shift, and What Goes On for MTV’s Nickelodeon Teen. He has sold pilots to numerous networks including ABC, NBC, Fox, The CW, Bravo, BBC America, and Nickelodeon. His credits include: Courtesan (with director Shekhar Kapur), S.O.B. (with Kelly Ripa), Bollywood Spy (with Ryan Seacrest), and I Am Not Myself These Days (with Darren Star). Sri is an honors graduate of the Wharton School of Business. His work has been profiled in the New York Times, The Hollywood Reporter, and TV Guide. 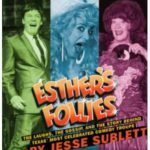 He has appeared nationally on Dish Network, SiriusXM, and PBS. He has spoken at the White House on the topic of cultural identity among young Indian-Americans. Born and raised in Pennsylvania to parents who emigrated from India, Sri has spent his life bridging cultures. 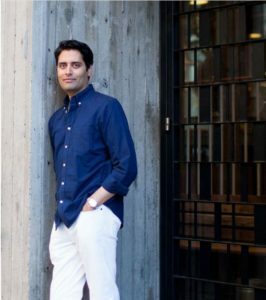 He is passionate about using his unique point-of-view as a cultural ambassador to help people translate the rich traditions of his Indian heritage – health and wellness, food, beauty, and design – to fit their modern lifestyle. The popularity of Indian food has grown immensely in recent years – and for good reason. It’s perfectly suited for people who love bold flavors, as well as those looking for vegan, vegetarian, and gluten-free meals that don’t skimp on taste. But as Sri points out in Bollywood Kitchen – you’ve probably never tasted real Indian food. Home-cooked Indian-American food is surprisingly simple to make, using ingredients readily available in your local grocery store. For more information, please see NewYorkSri.com. You can keep up with Sri on Twitter, Facebook and Instagram.